Monsoon clouds over the Arizona forest, much that has sadly burnt down due to wildfires. Looking up at the Gods. 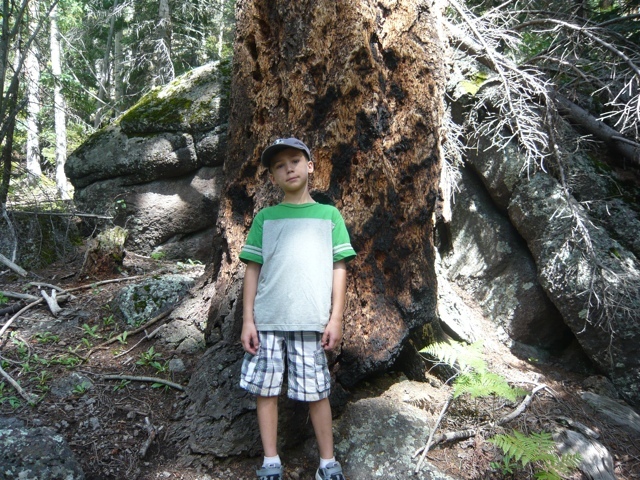 This mighty tree is hundreds of years old and is on Mount Baldy trail in Northern Arizona. I grew up surrounded by trees. We lived along a large lake in Minnesota and we purchased the house my grandparents built in the 60s. It was a split-level rambler with large windows opening up to the backyard acre of woods. As a child, the woods were a magical place where we would spend countless hours playing hide and seek, games of tag and cops and robbers. We watched the trees in all the seasons from the brilliant hues of fall to the bareness of winter and the first coating of white sticky snow and to the rebirth once again in the spring, when the trees came alive once again as did our imagination. I simply cannot imagine a world or life without trees. Boundary Waters Wilderness and Canoe Area, Northern Minnesota. While the rate of deforestation worldwide has recently slowed it still continues to alarm most environmentalists. Per a comprehensive 2010 report conducted by the United Nations Food and Agriculture Organization, “the rate of deforestation has slowed over the last 10 years, but each year an area roughly the size of Costa Rica is still destroyed”. “Between 2000 and 2010, some 13 million hectares of forests were converted annually to other uses, such as agriculture, or lost through natural causes, down from 16 million hectares per year during the 1990s, according to the assessment which surveyed 233 countries and areas”. In the Amazon alone, an area notoriously known for deforestation, Brazil claims the rate of deforestation in its Amazon region has fallen to the lowest level for 23 years mainly due to the governments tougher laws on illegal logging. The National Institute for Space Research said “6,238 sq km (2,400 sq miles) of rainforest disappeared between August 2010 and July 2011, a drop of 11% from the previous year”. However, the facts can still not be ignored that many of the worlds’ beautiful forests have already been destroyed, and it can be argued that a lot of the destruction is man-made whether it be in the form of logging, cutting down trees for development or climate change which has caused more forest fires (think about all the fires that have recently stuck the American Southwest and the devastation they have brought). It would sure be a tragedy to loose the beautiful forests we have around the world that provide so much beauty and life. My son inside the fragrant, deep forest searching for 300-year-old Douglas Firs. The White Mountains of Northern Arizona. 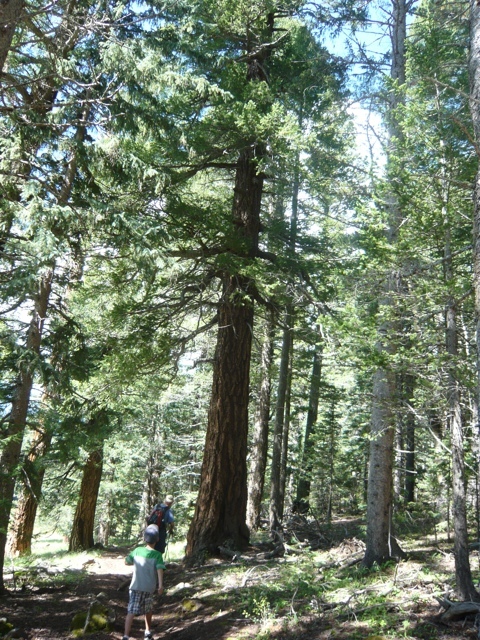 The size of these trees is unbelievable. 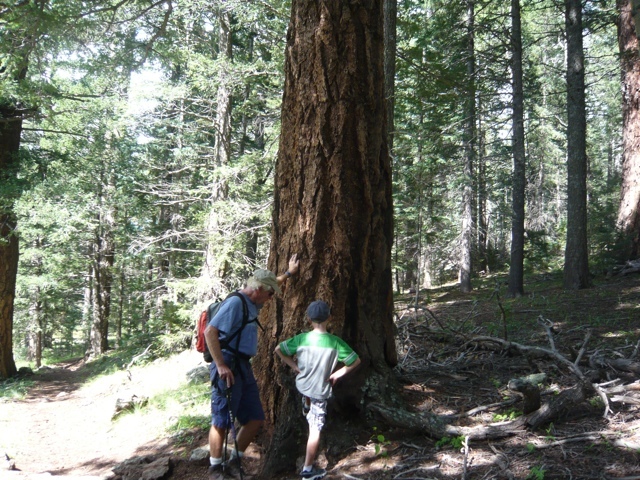 Grandpa and Grandson admire this mighty tree. 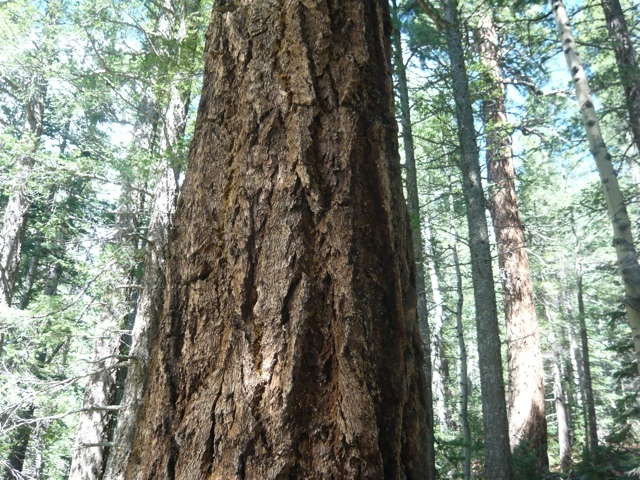 Some trees show their battle wounds from fires in the past. Yet others weren’t so lucky. My son standing along a great big beauty and wonder of nature. Will the trees be around for future generations? For my great grandchildren’s children? Or will they be gone? This post is in response to Jakesprinter’s Sunday Post: Natural Resources. To see more entries, click here. 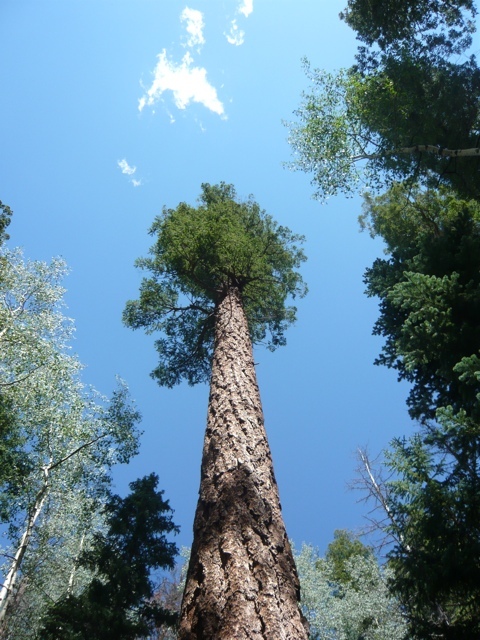 These photos were taken from two posts I wrote on Northern Arizona’s amazing trees: In Search of 300-year-old Firs and Who would have thought that trees could be so amazing? Excellent post, Nicole. The Roosevelt quote is awesome. I had never heard it before. And the perspective looking up the trunk of that tall tree is almost dizzying. How cool! Thanks Kathy! I love trees and all nature. I hope the environment gets more protection. I get so worried about it all. Wonderful post! We need to protect our trees. Thanks Debra! 🙂 I agree. Thanks! I love this book and enjoy reading it to my kids. It always makes me sad. Yet happy a little at the end too. Lots of morals in the story that is for sure! AZ is a very diverse state. We love Flagstaff as well and hiking in the Santa Catalinas near Tucson is wonderful. 🙂 Where do you live now? How fun! That way you can pick up and go anywhere!!!! Someday I will go!!!! I’ve heard they also have good wine! It’s great to read that deforestation is slowing down, but there’s a long way to go yet.. Thanks Lu! I do worry a lot about the environment. It bothers me a lot and I wished we could make some more serious changes and regulations on climate change. Beautiful pictures and beautiful quotes! Thanks for sharing! The circle of life starts with a tree, when they grow, we grow. Thanks Eliz. I love this book and worry so much about the environment and global climate change. It scares me.